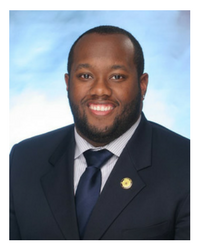 Winston-Salem, NC—The NBCC Foundation, an affiliate of the National Board for Certified Counselors (NBCC), recently selected Felix Morton IV of Winston-Salem, North Carolina, for the NBCC Minority Fellowship Program-Youth (MFP-Y). As an NBCC MFP-Y Fellow, Morton will receive funding and training to support his education and facilitate his service to underserved minority populations, with a specific focus on transition-age youth (ages 16–25). The NBCC MFP will distribute $8,000 education awards to Morton and the 29 other master’s-level counseling students selected to receive the fellowship award. Morton is a graduate of East Carolina University, in Greenville, North Carolina, and of The University of North Carolina at Wilmington and is currently pursuing a master’s in the clinical mental health counseling program at Wake Forest University, in Winston-Salem, North Carolina. Upon graduation, Morton intends to serve transition-aged youth, particularly those in the high school and college settings. By combining the skills and knowledge acquired from his MEd in higher education, Morton hopes to become a competent counselor in a college counseling center as well as an active support system and asset to his surrounding community. Understanding the need for men of color in counseling, Morton also hopes to strengthen the bridge into the profession for minority males through mentorship and advocacy. Earning this fellowship will allow Morton to attend counseling conferences to establish a stronger professional identity as a counselor, learn evidence-based practices to better serve underserved populations, and advocate for the counseling profession as a whole.